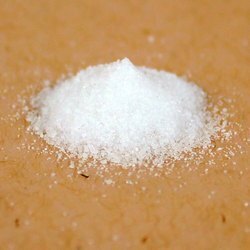 Pioneers in the industry, we offer citric acid, acetic acid, citric acid monohydrate, formic acid, citric acid anhydrous and oxalic acid from India. Solubility in Water 73 g/100 ml 20 Deg. Cel. Boiling Point (Degree Celsius) Decomposes at 175 Deg. Cel. Melting Point (Degree Celsius) 153 Deg. Cel. Citric acid is a weak organic acid. It is a natural preservative and is also used to add an acidic, or sour, taste to foods and soft drinks. In biochemistry, it is important as an intermediate in the citric acid cycle, and therefore occurs in the metabolism of virtually all living things. It can also be used as an environmentally benign cleaning agent. 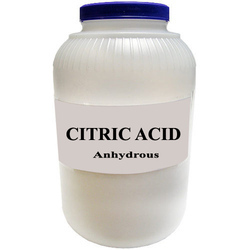 This citric acid also inclused Citric Acid Anhydrous, Citric Acid Monohydrate. Citric Acid is used in Food, Beverages, Flavor enhancer, Coloring. Citric Acid is used in Preservative, Detergents, Cleaners, Pharmaceuticals, Cosmetic. Citric Acid is used in Industrial and Chemical processing. Citric Acid is used in fluxes for galvanizing, soldering & tinning. Acetic acid is an organic compound with the chemical formula CH3CO2H (also written as CH3COOH). Acetic Acid or Glacial Acetic Acid is a colorless liquid that when undiluted is also called glacial acetic acid. Acetic acid is the main component of vinegar (apart from water; vinegar is roughly 5% acetic acid by volume) and has a distinctive sour taste and pungent smell. Acetic acid is one of the simplest carboxylic acids. In the food industry, acetic acid is used under the food additive code E260 as an acidity regulator and as a condiment. As a food additive, it is approved for usage in the EU, USA and Australia and New Zealand. 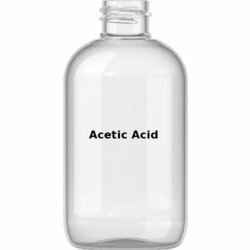 Acetic Acid are primarily used in Pharmaceuticals, Agrochemicals, Textiles, Drugs and Dyes Industries. Acetic Acid is used in the manufacture of acetone and esters used in perfumes. Acetic Acid is used in the preparation of dyes. Acetic Acid is used to coagulate rubber from latex. Acetic Acid is used for making white lead which is used as a white paint. Acetic Acid is used as a chemical reagent in the chemistry lab. Citric Acid is mainly used as acidulant, flavoring agent, preservative and antistaling agent in food and beverage industry. 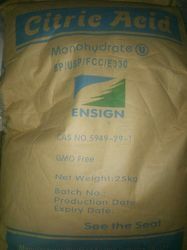 It is also used as antioxidant, plasticizer and detergent in chemical, cosmetics and cleaning industries. Total Acidity as HCOOH 85 % by mass min. Heavy Metals as Pb 20 ppm max. Formic acid is used in various stages of leather and textile processing and in natural rubber manufacturing. 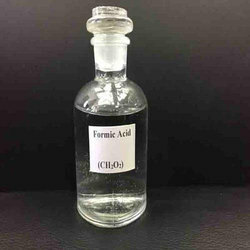 Formic acid products are widely used in biomaterial preservation and as replacers in industrial animal feed. Due to its acidic and reducing reactions formic acid is an important chemical building block in the chemical and pharmaceutical industries. It is used for acidity control and cleaning in processes where lowest environmental impact is sought and no residues allowed. Product Name Citric acid anhydrous Product Characters White Crystalline Powders, Colorless Crystals or Granules Executive Standards BP2013/USP36/FCC8/E330/GB1987-2007 Packaging 25kg net composite paper-plastic bags or 3-ply kraft paper bags with PE liner,500kg or 1000kg net PP woven Jumbo bags Storage kept in a light-proof,well-closed,dry and cool place Main Usage Citric Acid is mainly used as acidulant, flavoring agent, preservative and antistaling agent in food and beverage industry. It is also used as antioxidant, plasticizer and detergent in chemical, cosmetics and cleaning industries. 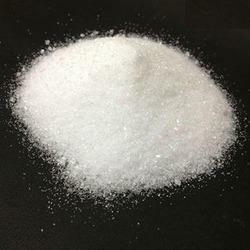 Looking for Citric Acid Supplier in North India ?